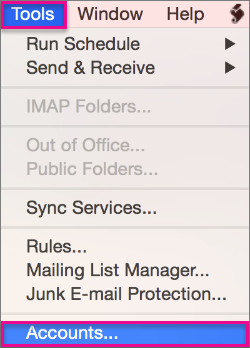 These instructions are for adding a Vicbar email account (Exchange) to Outlook 2011 for MacOS. It is assumed Outlook is already installed. Set Method to 'Username and Password'. Enter your Vicbar email address in the User name field. Enter your Vicbar email password in the Password field.